In 2005, two months after completing all the course work for my Masters in Special Education and returning to my second year as a High School Special Ed. Science teacher, my husband and I began escrow on our first home. We also found out that we were pregnant with our first child! Everything was falling into place and going completely according to my masterful plan. We felt truly blessed. We moved into our beautiful new home only to discover that there was a gas leak and mold that required us to leave the house while it was being repaired. So we were displaced and staying in hotels and with friends for about a month, until the week before Christmas. We returned to our home and attempted to resume some form of normalcy, So I began helping my family care for our four nieces and nephew who were removed from their home because of both parents’ drug abuse. Five months into my pregnancy, I received a call in my classroom, of all places, from the genetics department. They wanted me to come in for testing; they thought something may have been wrong with my baby- Downs syndrome or Spina bifida. I almost had a complete meltdown in front of my students. My worst nightmare was happening! I was presented with options of intrusive testing, opting to terminate my pregnancy or just planning for the worst. I felt as if I was having a nervous breakdown, I battled depression and tremendous anger. Why should I, of all people even have this as an issue to begin with? I enviously looked at the nieces and nephew that I helped care for who were all (excuse my bluntness- crack babies), and thought how unfair that they be healthy and not my baby? I’d purposely done everything right in my life before and during my pregnancy to ensure the perfect life for my future children: I completed my education, I was married 6 years, we saved for and acquired a home; I even took folic acid six months before my pregnancy! I found myself completely overwhelmed to the point that my OB pulled me from work on stress leave. I opted to continue my pregnancy and courageously be the mother to this child that God blessed me with. Not long after, I was assured that my baby- a boy, was healthy, normal and perfect in every way. This removed a mountain of worry from me. Thank God that there was nothing wrong with the baby, but the damage had already taken its toll on my psyche and my body; negatively affecting the baby. For the next two months I allowed myself to enjoy my pregnancy and began planning my baby shower and decorating his room. I even scheduled a 4-D ultrasound for my family to view the baby. The day of the 4-D ultrasound I had a routine tummy check scheduled just before. We would complete the tummy check and meet our friends and family to see the baby afterward. Following my check up, the doctor told me that I was suffering from Pre-eclampsia and I needed to go directly to the hospital. Not understanding the severity of the diagnosis, I was annoyed that my plans were being cancelled and felt that the doctor was overreacting, so I was very reluctantly taken to the hospital. This was my first stay in a hospital and I was again annoyed with all of the poking and prodding. But I began to understand the gravity of my situation when my blood pressure skyrocketed to 201/100 and I needed an emergency c-section to prevent both the baby and I from dying. But my mind reeled because I knew that I was only 7 ½ months pregnant, and I knew that my baby was not ready to come out yet. Yet on Thursday, May 18th 2006 at 11:05 am Charles Prince Williams II (Twoo, as we call him) was evicted from his home. 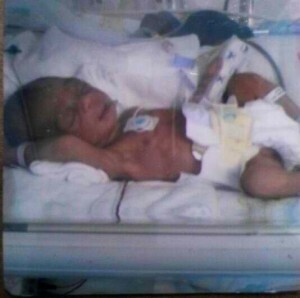 My tiny baby boy weighted 3lbs. 6 oz. , and literally fit in the palm of my hand. He lived in an incubator for the first 2 weeks of his life and I was unable to even hold my son for those first 2 weeks! I remember VIVIDLY what it felt like to not be able to do anything to help my precious baby. And I vividly remember the agonizing pain of having to leave my baby in the hospital while I went home. The whole experience was a nightmare-a nightmare that I wouldn’t wish on my worst enemy! Twoo stayed in the hospital for what seemed like an eternity, but was really a total of three weeks. I welcomed home a tiny but scrappy little guy that miraculously changed my life. At 6, he remains healthy and has amazingly reached every single milestone. I really had no idea how blessed our circumstances were until September of 2011 when my friend Tiffany, who met me at the hospital for the birth of my son called me and explained that she was in the hospital in the same circumstance I had been in, only she was about 6 months pregnant and her baby was delivered at 1 ½ lbs and stayed in the hospital for 3 months rather than 3 weeks. This hit so close to home, but put everything in to perspective for me. I knew in that instant, that everything I had gone through was to prepare me for such a time as this! 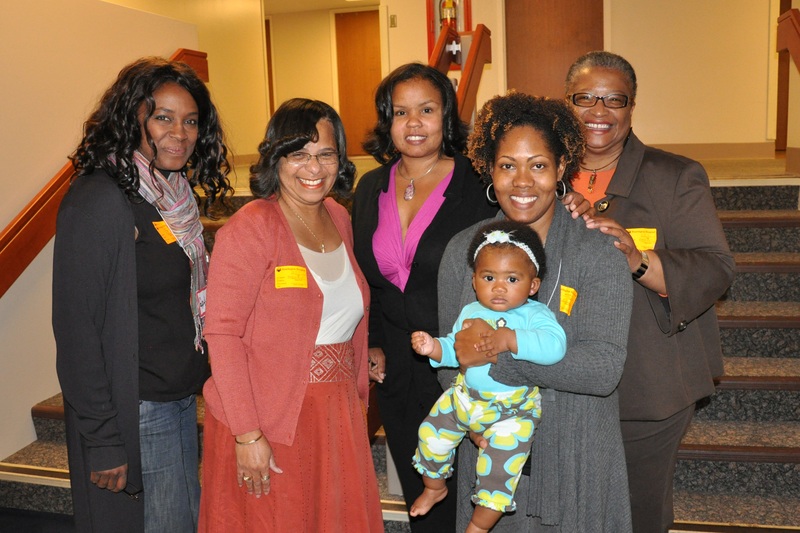 For years I had silently carried my story and trauma in my heart until, with an invitation from Wenonah Valentine of iDream for Racial Health Equity, (formerly Pasadena Birthing Project) I began sharing my story with my community and I completed March of Dimes Healthy Babies, Healthy Futures training. I also assumed the Community Service co-chair position for the Los Angeles Chapter of Mocha Moms Inc. for 2011 and 2012. This May, my friend Tiffany, Mocha Moms from LA and Pasadena chapters, our children and families and I walked in the March of Dimes Walk for Babies and saw so many families with t-shirts that said they were walking in memory of baby angels that didn’t make it. We all were so truly humbled. And for me, it even furthered my resolve to foster prematurity awareness in my community and beyond. It is my reasonable service to continue to tell my story and be a support for families and babies.